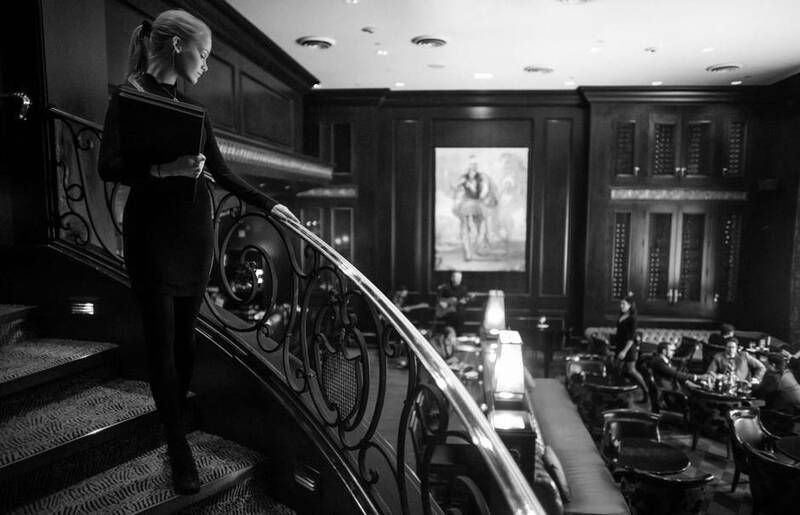 Atmosphere: A grand, 1950s Financial District steakhouse, tiptoeing into the 1990s. Very good, if occasionally, overfamiliar service. Wine and drinks: A deep and surprisingly affordable wine list, with plenty of local and sub-$50 options. Good classic cocktails. Your father-in-law’s beers. Best bets: Stick with the classics. 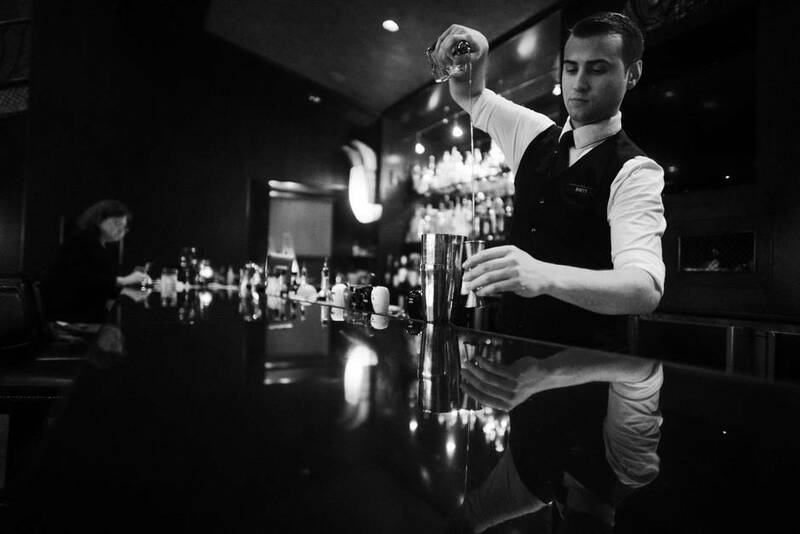 Oysters Rockefeller, a rib-eye, creamed spinach, onion rings and bananas Foster, plus two or three martinis, is a perfect order. Prices: Appetizers, $10 to $23; mains $28 to $77. 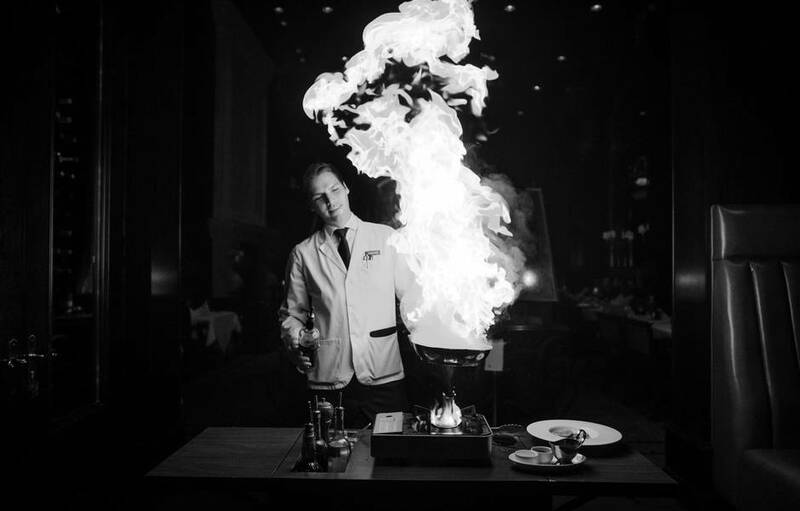 Hy’s, the white linen and candlelight steakhouse chain, turned 60 last fall and no one noticed. Maybe the company’s Toronto outpost has always felt at least that old, so nobody thought such a middling milestone worth celebrating. “You really wouldn’t be surprised to turn around and find, at a nearby table, four portly men with watch chains and waistcoats and walrus mustaches chortling over brandy and cigars,” a city food critic once wrote about dinner at the old Richmond Street Hy’s location. That was in 1970. Hy’s has since moved to its current, and every bit as baronial, digs on Adelaide Street near York Street, but otherwise the observation rings nearly as true in 2016. The wood-panelled, two-storey walls are covered in dark-hued oil paintings that look as though they were looted from a crumbling Scottish Highlands castle, if you don’t inspect too closely. The waiters, in pressed white butcher jackets, push tableside service trolleys bearing bloody, $120 chateaubriands for two. When you first sit down, you might sink a good six inches into your chair. “One gets the distinct impression that women make an appearance at Hy’s only in order to fetch their husbands for dinner,” another writer said of the place, at the outset of the 1980s. This is less true today; I saw plenty of women eating at the restaurant, among the men in suits and the men in golf shirts and the men in We The North caps. Hy’s, which was founded in Calgary and now has locations in Vancouver, Whistler, Calgary and Winnipeg, as well as Guam and Hawaii (the Ottawa, Chicago and Beverly Hills outposts, among others, have all closed), undertook a few years ago to modernize its menu. Among the dinner specials recently was pan-seared, Cajun-spiced rainbow trout. “We’re serving it with a grilled prawn, a parsnip purée, a corn and edamame succotash, as well as a little broccolini on the plate, all finished off with a nice beurre blanc,” our waiter said. I appreciated the effort, though it all felt odd in a place that built its name on orgies of beef. Hy’s at 60 is notable not for its few attempts at progress, but for its pointed obliviousness to it. You won’t find star mixologists or craft beer here (the bottle selection of late: Corona, Heineken, Stella Artois, Molson Canadian and Rolling Rock). And beef snobs, be warned: The meat menu isn’t organized by feed type, breed of cattle, length of aging or geographic provenance. Hy’s does Prime Canadian feed-lot beef, from no fixed address. Still, it is pleasant here. It can be nice to roam with the dinosaurs sometimes. The steaks are perfectly tasty, a lot of them. The best one I tried, a 16-ounce, $60 bone-in rib-eye, came smartly crusted from the grill and buttery-tender, with soft pockets of smoke-laden fat. The oysters Rockefeller were terrific: warm, smooth and vaguely oceanic. We got smooth, garlicky mashed potatoes and superb creamed spinach, along with a bowl of crisp, slightly greasy onion rings and a run-of-the-mill lobster tail that our waiter ceremoniously slipped from its shell. Our waiter was exactly the right degree of solicitous. “And how do you feel about cheese as well?” he asked as he laboured, tableside, to prepare our Caesar salad. “We feel very good about cheese,” I answered. He laughed as though this was the funniest thing he had heard in a week. Once he was done, he announced, “I’m not going to lie. This is going to be the best salad you’ve ever eaten.” And this is where the spinning top – the blur of pomp and straight-spined competence that allows a restaurant to sell Caesar salad for $17 a person and wet-aged feedlot steaks for $60 – began to bobble. The Caesar salad at Hy’s is salad-bar Caesar salad, with limp greens, meekly flavoured dressing and croutons that show every indication of having come from a box. It’s fine if you don’t think about it. It can be satisfying, even. But you don’t go to Hy’s for the best anything you’ve ever eaten. Invitations to consider otherwise – to make qualitative comparisons – cannot end well. Another night, we had garlic bread (soft, talcum-white and wrapped in foil inside a pressed white napkin), another Caesar salad (it was better, but not by much), escargots (your classics in the white ceramic button dish, rendered faithfully) and black and blue ahi tuna. The tuna came with a rosette of wasabi that had been piped through a star tip, as well as a bushy sprig of curly parsley. It was the 1980s again and it was nice. The chateaubriand was as mildly flavoured as you might expect of a hunk of commodity tenderloin. It was tender enough that chewing seemed beside the point. The beef Wellington: a ball of crisp, golden, glossy-crusted pastry baked around a ball of chopped mushroom and foie gras-wrapped tenderloin. The pastry had a mild, raw flour back note and was just slightly doughy inside from undercooking. It wasn’t a writeoff, but neither was it very good. 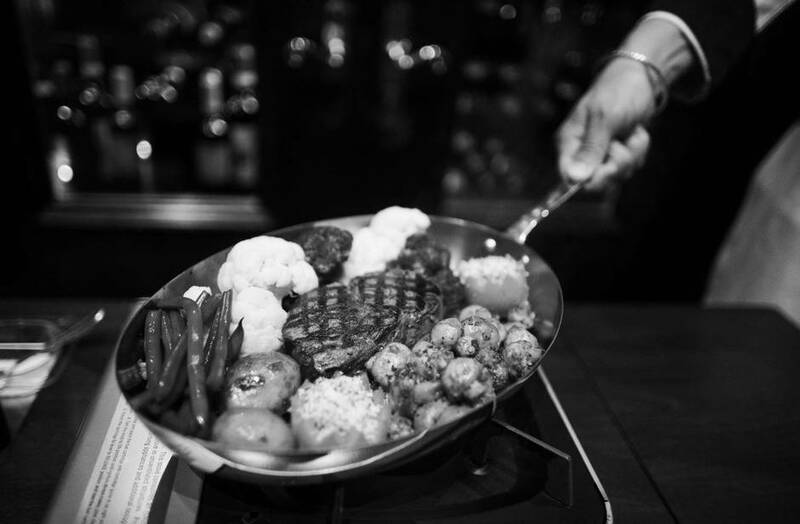 And the steak Neptune – that’s steak topped with crab, asparagus and hollandaise sauce, and it is one of the best steak dishes ever conceived – was steak Neptune as you might be served at a banquet for 600, after showing up late and getting what the kitchen had left over. What little crab meat the plate bore had gone dry and slightly stringy, as though it had been shucked hours, if not months, earlier, and the hollandaise arrived congealed. 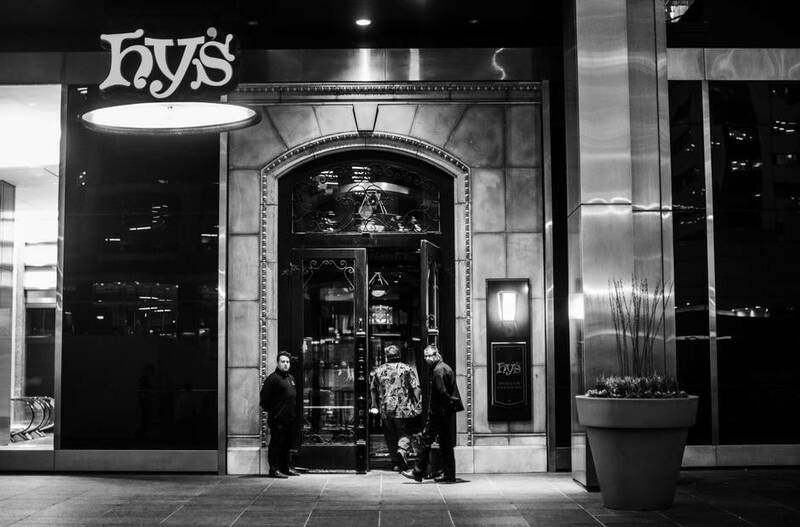 Though Hy’s has always been from another time, it once was nonetheless an exciting restaurant. It used to be the scene of political expense scandals and Bay Street intrigue. In 1978, when Hy’s was still a novelty in the city, the managers at both the Yorkville and Financial District locations, as well as a bartender, were charged in a major cocaine and marijuana bust. The place could use a little of that sort of publicity these days. Today, Hy’s parties more like its age – not that there’s anything wrong with that. Have the bananas Foster for dessert if you stop by. That’s bananas, butter and brown sugar, roughly, with a shot of booze that erupts in a fireball. It’s good.